Michelle Zuccolo discusses the work of Pam Hallandal and other artists in the group exhibition Paper Walls at Glen Eira City Gallery (until 24 March). 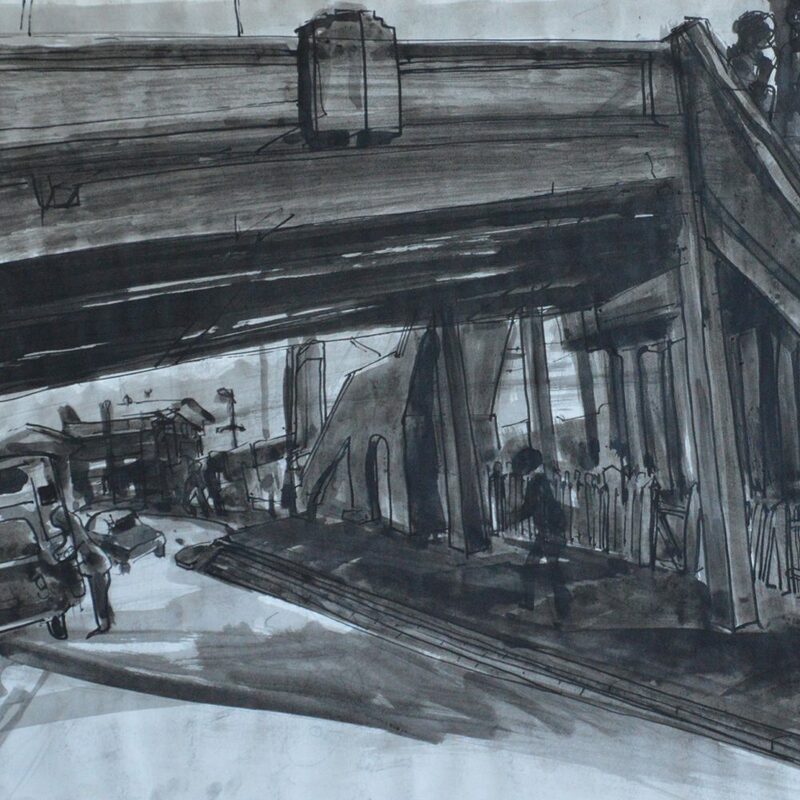 Pam Hallandal, Richmond Overpass (detail), undated, charcoal and pastel on paper, 37 x 56 cm, courtesy of Bron Dandie. 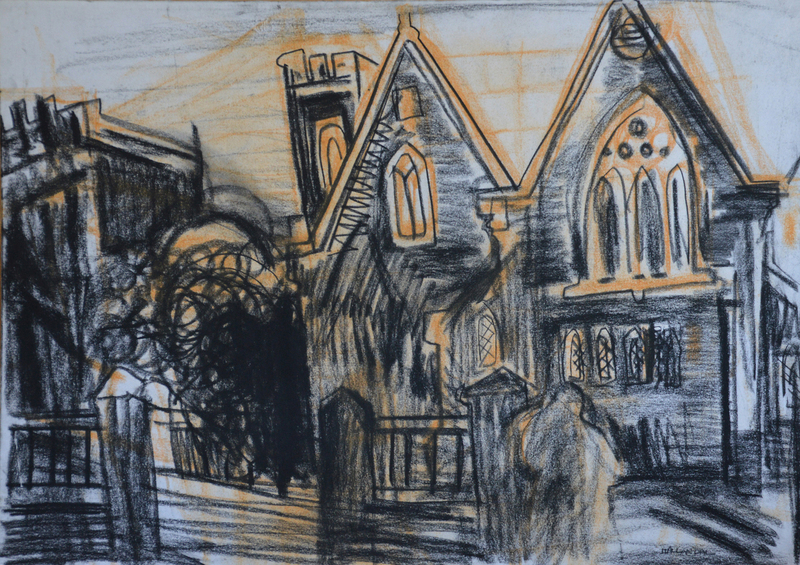 Pam Hallandal, Collingwood Church, undated, charcoal and pastel on paper, 50 x 76 cm, courtesy of Bron Dandie. 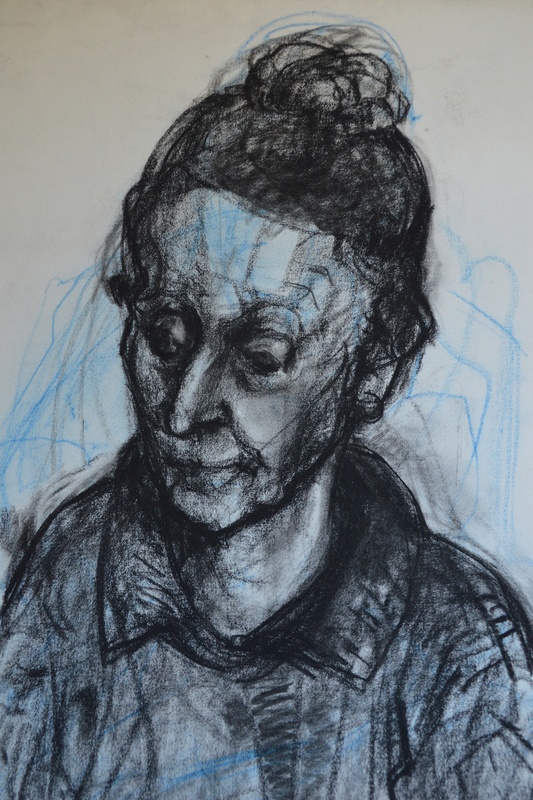 Pam Hallandal, Lorraine, 1970s, charcoal and pastel on paper, 57 x 76 cm, courtesy of Bron Dandie. 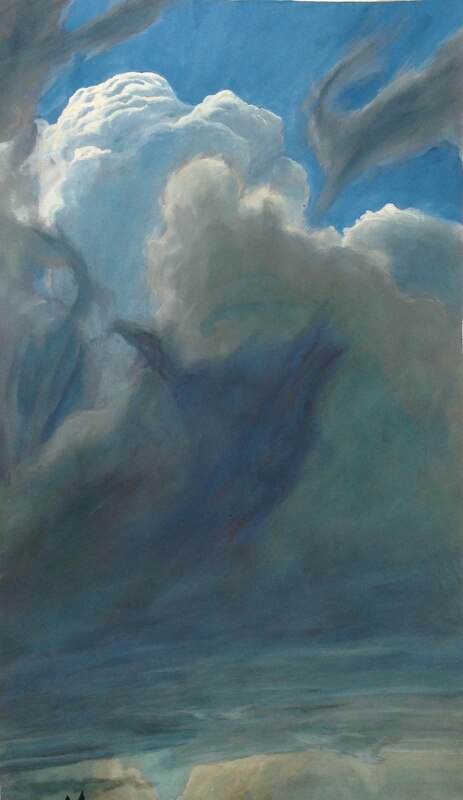 Melchior Martin, Cloud Study, Kalorama, 2017, gouache on paper, 100 x 58 cm, courtesy of the artist. Michelle Caithness, 2018, Summer studio: Number Two, 2018, charcoal on paper, 75 x 51 cm, courtesy of the artist. Michelle Zuccolo, The weight of memories, 2018, charcoal on paper, 65 x 78 cm, courtesy of the artist. 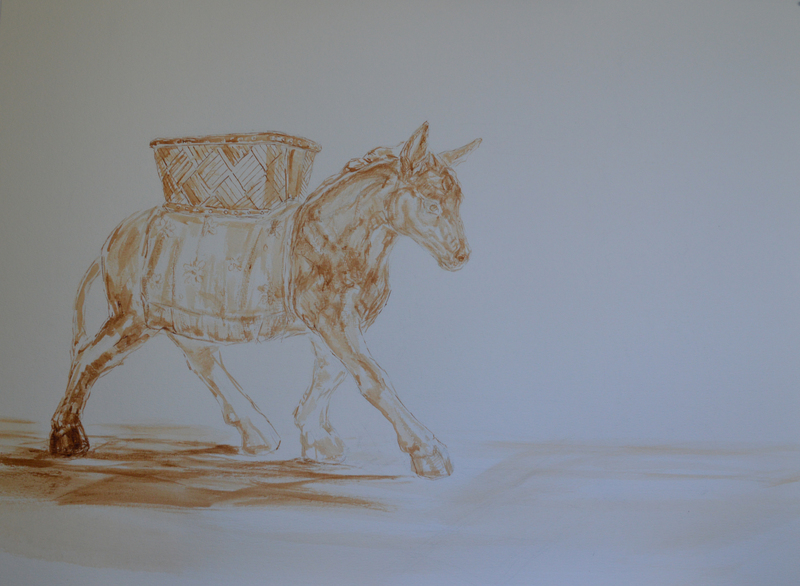 Michelle Zuccolo, Donkey trail, 2019, ink on paper, 56 x 74 cm, courtesy of the artist. Imprint: What is the premise for the Pam Hallandal exhibition Paper Walls and how have you been working towards it? Michelle Zuccolo: The initial concept for this exhibition was formed some 18 months ago. 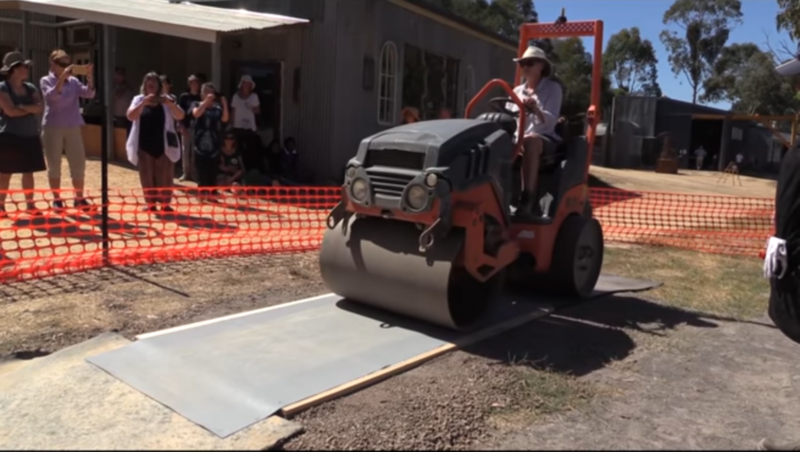 As a long term friend, I often accompanied Pam Hallandal to exhibitions in Melbourne and regional galleries, particularly when she was no longer able to drive herself. Exhibitions which included or featured drawing were, it could be said, not so common in Melbourne. Yet I knew that many of my former colleagues, class mates and former students from Victoria College of Art and Design/VCA, maintained and featured drawing intrinsically in their art practice. I had often discussed the possibility of exhibiting drawings with likeminded artists from my own year level and other former drawing department students. Response to the idea was positive. I canvassed the notion of inviting former teachers to exhibit alongside us, knowing the importance, depth of knowledge and inspiration provided to us by these staff members during our tertiary education. Throughout 2018, I would visit Pam Hallandal with my laptop, so she could view with great enthusiasm, images of the emerging group of drawings intended for Paper Walls. The drawing community was devastated by the sad news of her passing (25 September 2018). Pam’s family was well aware of the plans we had in place for Paper Walls and generously gave us permission to continue on with the exhibition, allowing the focus to lean towards a celebration of her legacy. Additional support from the VCA/University of Melbourne enabled us to enrich the presentation, through for example framing a selection of her smaller scale drawings which had previously not been seen in public. 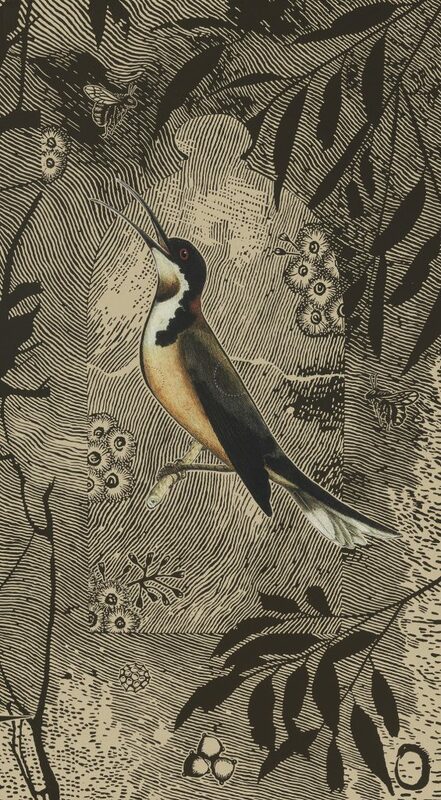 Imprint: Can you give us an overview of Pam’s career and tell us about some of her works? MZ: Initially Pam Hallandal began studying sculpture at what was then Melbourne Technical School in 1946. During the late 1950s she combined study with travel on the European continent, experiencing first hand in museums and religious buildings, a plethora of art forms from Ancient Eastern civilisations and Western cultures. These included Minoan sculpture, medieval manuscripts and wood cuts. On her return, she embarked on a career as a somewhat visionary art teacher, spanning over 35 years. From the 1970s onwards, she focused almost exclusively on teaching the single discipline of drawing, elevating its status in the Australian art scene, and establishing the first full-time drawing course at tertiary level. As the Head of Drawing, VCA, Pam Hallandal retired from teaching in 1994—proving to be an inspiring teacher and mentor to generations of Melbourne artists, many of whom are represented in this exhibition. Pam Hallandal’s drawings and woodcut prints referenced social values and the human condition, exemplified in her major “Casino” and “Tsunami” series. Other works depicted daily life in shopping centres and street scenes in Richmond and Collingwood. Portraits of her ageing parents were compelling and are legendary. Career highlights include being the first woman to win the Dobell Prize for Drawing (National Gallery of New South Wales) and the only woman to win it twice—1996 and again in 2009. Imprint: In what ways does the other participating artists’ work respond to Pam’s oeuvre? MZ: To a large extent, Pam Hallandal was reclusive in nature. Consequently, the full oeuvre of her work was not in the public realm. However, her most important, large scale drawings reached national acclaim, winning major drawing prizes and awards. Pam observed the world around her with an intelligent visual eye. She accumulated an extensive collection of personal sketch books, through which she maintained a record of her experiences and encounters with daily life – people in supermarkets, her family and response to busy inner city street scenes. These exquisitely drawn details provided staring points and tangible references integrated into more sustained and large scale drawings developed later in her studio. Pam Hallandal’s discipline, dedication to drawing and single mindedness has impacted on the psyche and general disposition of participating artists. Her passion for art and general work ethic has inspired, informed and motivated subsequent generations who were privileged to have studied under her masterful tuition. Michelle Caithness: At a fundamental level, my experience of making drawings is connected with the act of using materials and the experience of learning drawing with Pam Hallandal. 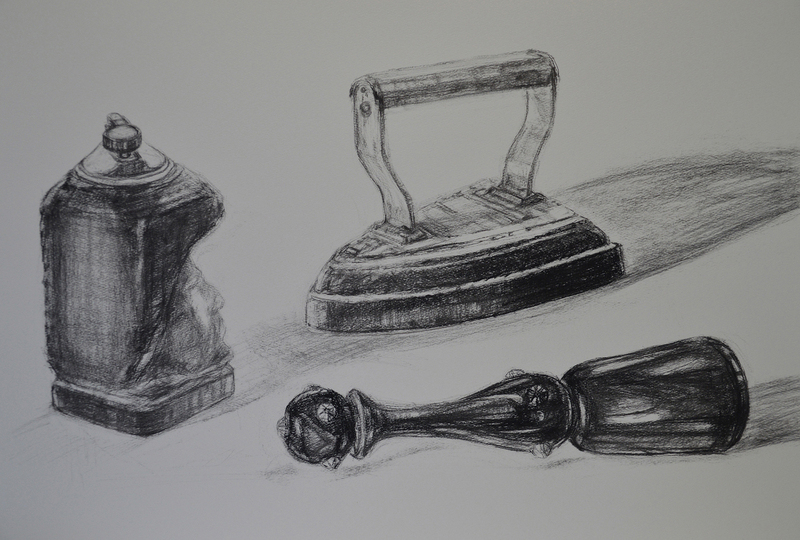 Charcoal and paper are highly sensitive and effective mark making materials and the powers of observation are essential to conceptual and perceptual practice. Since June 2016 my drawing practice has involved documenting a fellow artist within various studio and exhibition environments. In each work almost equal attention is payed to the drawing medium, most often in my case charcoal, and the choice of surface that it may be teamed with. My own choices about the quantity of memory, observational, analytical or purely abstract based drawing components that I may include and the History of Art as a tool for artists. The three drawings in this exhibition are selected from a body of work which spans a two and a half year period of collaboration. I have assigned the capabilities of charcoal as a means of creating texture as a multi tasking tool; as an atmosphere which holds light, as abstract mark making which exists independently of subject, and as a descriptive tool which organises the representation of a chosen moment in time. I was fortunate, Pam gave me the opportunity as a very young person, out of high school, to develop my interest in drawing. Her legacy has evolved, in my case, as a dual love of drawing and of teaching the subject. In retrospect I understand her generosity and the value of her belief in my potential. Melchior Martin: I’ve really enjoyed the glimpses I’ve caught over the years of artwork made by students I studied with under Pam…..Michelle Caithness, Katherine Hall, Teresa Martin, Sarah Baker, Tanis Douglas, Aaron Martin, Sharon Sutcliffe, Jenny Nestor, Stacey Zass, to name just a few. 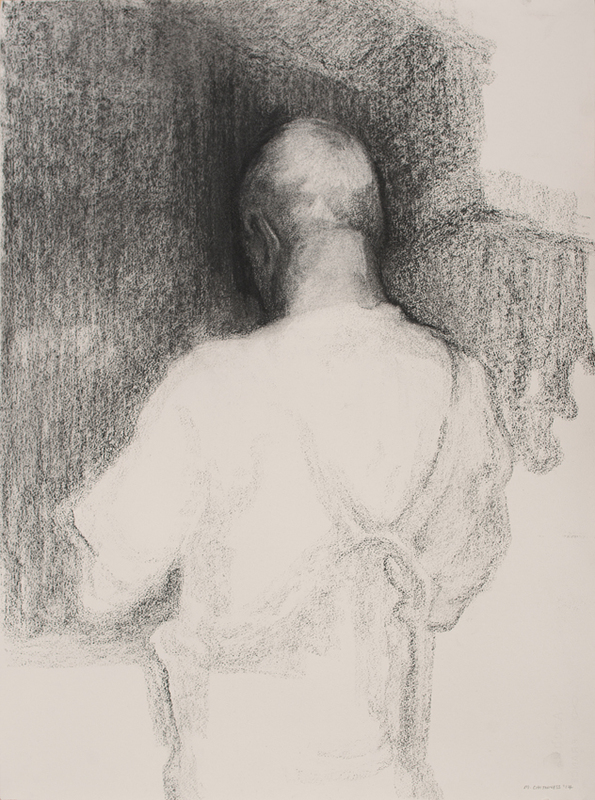 Although these artists taught by Pam now work with the diverse range of approaches you would expect of any community of artists, they seem to share a common sense of integrity derived from the attitude inherent in Pam’s approach to teaching drawing. The heightened sensitivity to form and structure so boldly delineated in Pam’s work seems to have translate into a heightened sensitivity to what is perceived both by the eye and the mind in general in her students. The vigorous analytical and structural drawing we were immersed in while studying with Pam (so unfashionable at the time) has given rise to all manner of delicate and whimsical approaches in all variety of media in the work of theses artists. Not all the artists I mentioned are represented in this show. The ones that are would only represent a tiny fraction of people she taught over the years, however I’m really looking forward to seeing this selection of work and having a chance to acknowledge the extraordinary achievements of Pam Hallandal, an artist who spoke so quietly but drew so boldly. MZ: Pam was of the opinion that the aspirations of the artist should determine a personal vision. In turn, this was developed and challenged through a visual art language. The “individual” is present in every piece. Artists have defined their own “reality” through ways of seeing, understanding and translating. A lesson well learned in the Drawing Department under her tuition. Imprint: Can you reflect on how the exhibition manifests as a whole and what visitors are likely to experience? MZ: Evidence of Pam’s teaching, and singularity towards drawing manifest in Paper Walls. 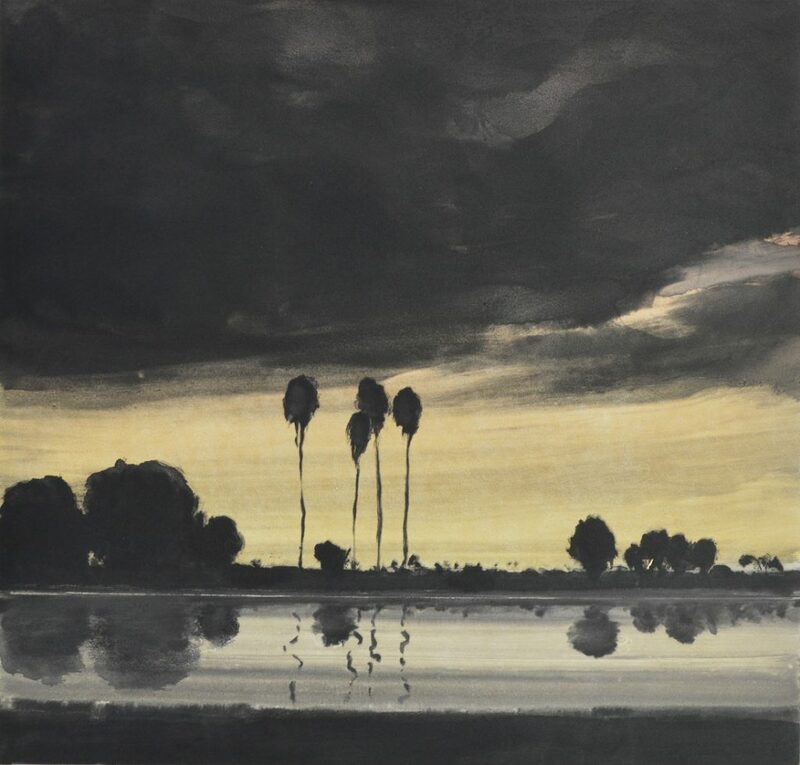 Over a dozen of Pam Hallandal’s drawings have been exhibited for the first time publicly. Visitors will encounter diversity in themes and approaches to drawing. The individual participants work to their strengths, reflecting a breadth of scale, medium and subject matter. Figurative and non-figurative drawings are represented. Sketch books by Pam Hallandal, Rick Amor, Mark Jackson and Sarah Tomasetti are on public display, demonstrating the process and planning which informs their art making practice. Join artist Michelle Caithness for an engaging discussion about her drawing practice. Join artists Greg Creek and Sarah Tomasetti for an engaging discussion about their practice. A panel discussion around the practice of drawing.